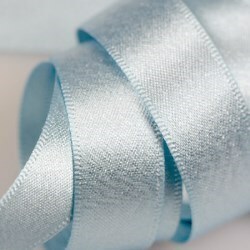 At Papillon Ribbon & Bow you will find a large variety of beautiful and high quality satin ribbon. 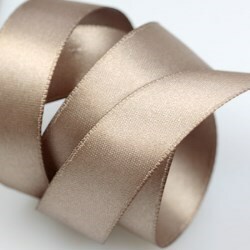 We stock most of our double face satin ribbon in our local warehouses and we can deliver everything your business needs from stock ribbon to custom bows, cuts, or attachment solutions. 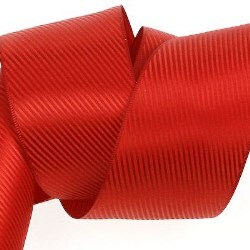 At Papillon Ribbon & Bow, we supply pre-made Bows and Twist Ties under bulk quantities of 10 pieces per package for bows and 1000 pieces per order for twist ties. If you would like to collaborate with our creative team to customize your own Pre-Tied Bow for your corporate and retail projects, please contact your regional sales representative today! Our factories have over 20 years of experience within the garment and bow-making industry. Thus, we assure you that we will provide you with consistent high quality control, accurate Pantone color matching, and delightful customer service! Our range of patterned bows bring an element of fun to any packaging. Browse our beautiful designs to find the best match for your product. These simple and elegant designs will bring a touch of class to any gift wrapping or packaging. 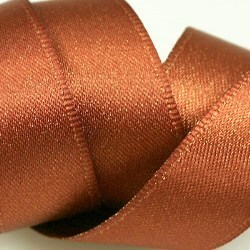 Prepare in advance for the upcoming seasons with our beautiful seasonal ribbon. We offer a wide range of seasonal ribbon from: Christmas and Wintry Holiday, Valentine's Day, St. Patrick's Day, Independence Day, Easter, Thanksgiving, and Halloween. Add elegance and sophistication to your projects! 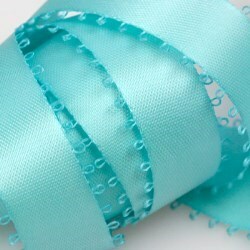 Chiffon ribbon can be used for events, wedding invitations, flowers, clothing and other accessories. 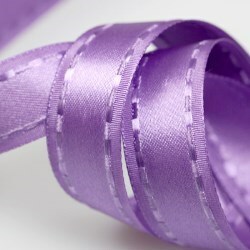 At Papillon Ribbon we stock a wide variety of chiffon ribbon, over 50 Pantone colors and multiple widths. 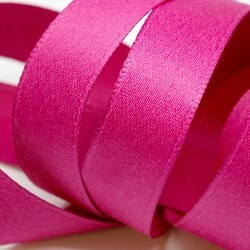 Papillon Ribbon & Bow is both a manufacturer and distributor of high quality grosgrain ribbon. 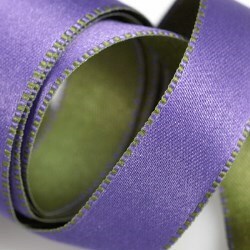 Our grosgrain ribbons come in a wide range of colors and widths and are made of high quality polyester material. From solid colors to stripes and saddle stitch grosgrain ribbon we are confident we can meet your expectations. 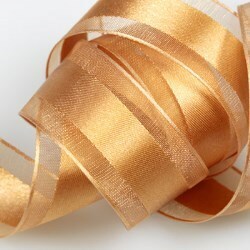 Give your packaging a glamorous look with our Metallic Ribbon! Choose from a variety of colours and styles to find a perfect match for your products. 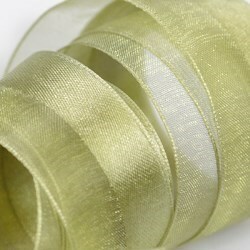 Basket ribbons have a merrow edge that is ideal for big loop bows, gift wrapping, decorations and gift baskets. 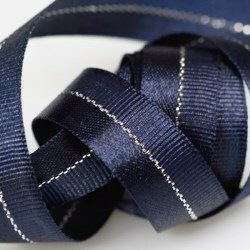 We have a wide selection of merrow edge ribbon and we can deliver custom made bows to make your product stand out. 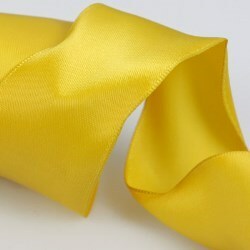 Natural Ribbon, easy to work with and versatile. 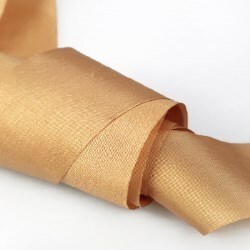 From natural looking burlap to saddle stitch tape and from jute to raffia, natural looking ribbon is trendy for invitations, floral arrangements, decor, crafts, scrapbooks and packaging. 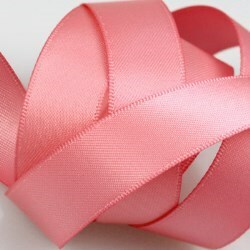 Count on us for custom projects, we can cut any width, length and type of ribbon. Popular in the fashion industry for creating hair-bows, neon ribbon is one of our favorites for gift wrapping, packaging and craft projects. Elevate the look of your packaging with plaids and squares. 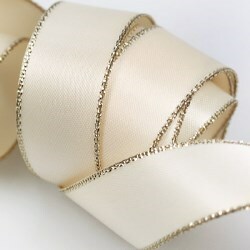 From Party Plaids to Country Cool choose from our wide variety of ribbon. In our Polka Dots collection you will find Swiss Dots, Mini Dots, Metallic Dots and Pop Dots. Create beautiful and playful projects with our polka dot ribbon collection. Pom Pom Ribbon is the perfect addition to any holiday arrangement. Mix and match with festive ribbon or single face satin to create unique designs. 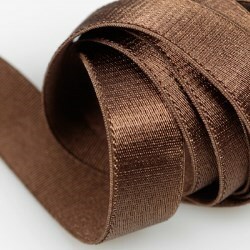 Saddle Stitch is a woven grosgrain polyester ribbon with two strides of stitches by the edge of the ribbon. This simple design is offered in 9 colors, featuring white saddle stitch on grosgrain ribbon. Can't decide on just one ribbon color? You won't have to with Papillon Ribbon's large collection of Striped Ribbon. Our Striped Ribbon is available in a variety of vivid ribbon colors, widths, and textures for all your decorating needs.